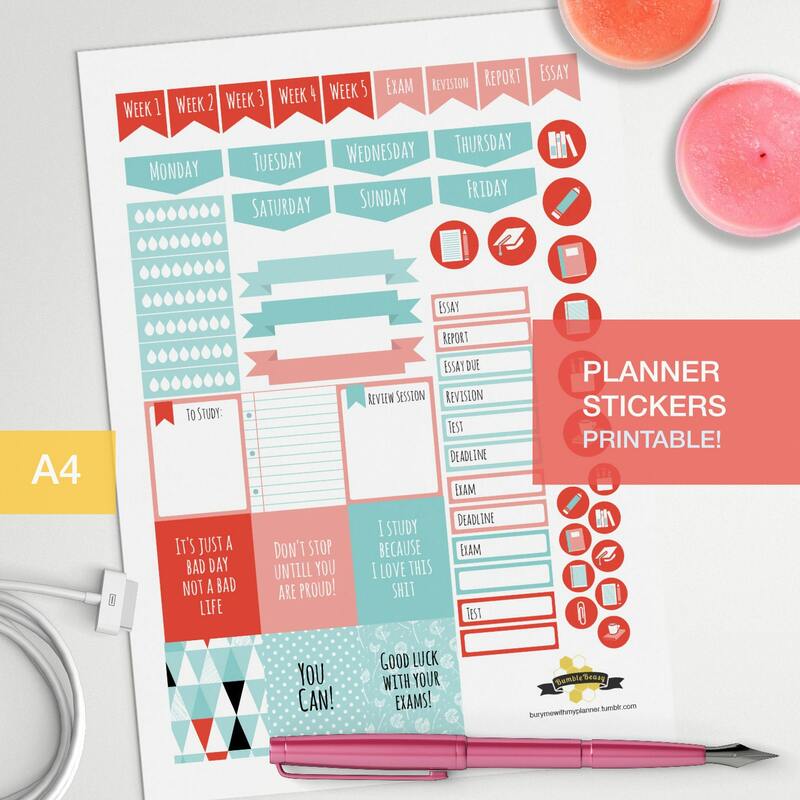 The rectangular stickers are perfect size for erin condren planners! Includes water intake tracker. This kit really helps me keep track of my school work in my bullet journal. I have used the little icons to mark when things are due or coming up and the motivational quotes help a lot when difficult papers and exams come up.